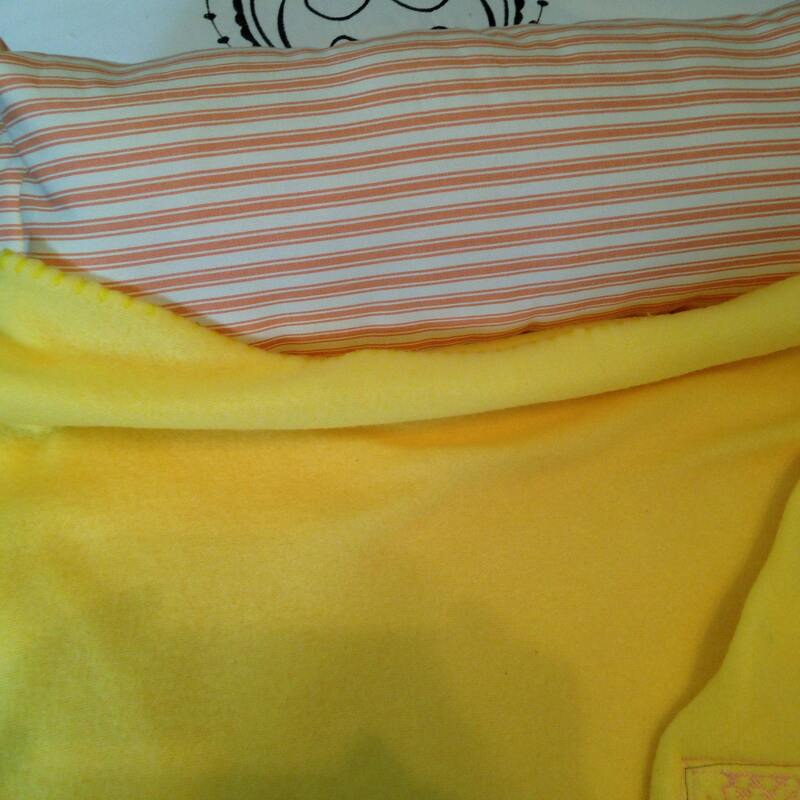 This Childs nap mat cover is the perfect size for day care, grandmas house, or playtime rest. 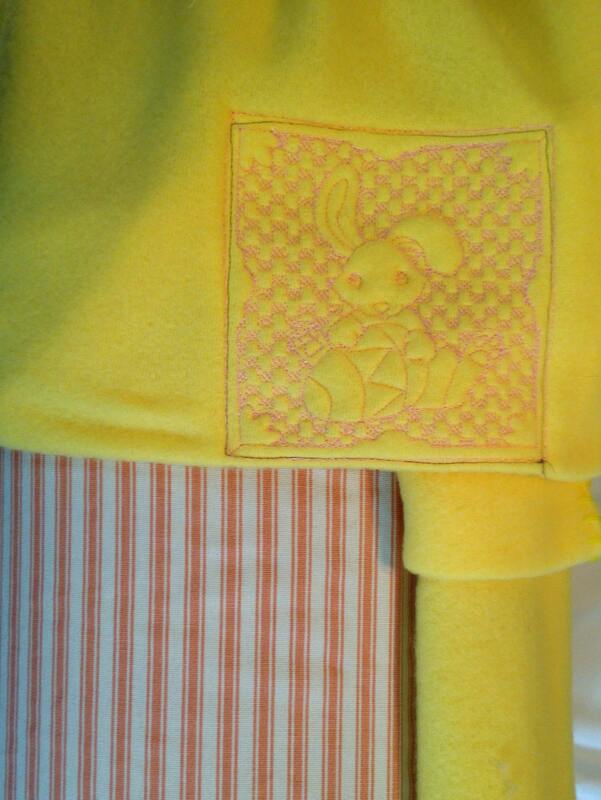 It was lovingly handmade using sturdy cotton ticking fabric and a soft light weight fleece throw. 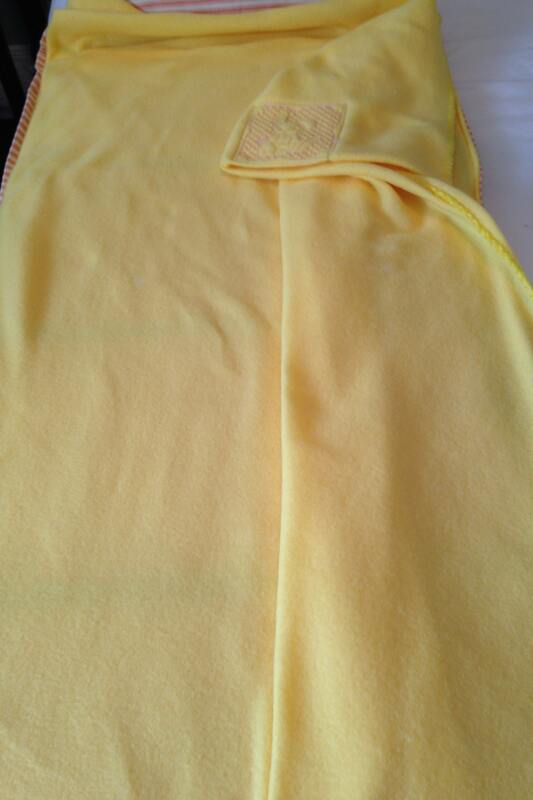 Both fabrics were pre washed before construction. The nap mat cover will easily accommodate a 5/8"-2" thick mat. The mat is simply slipped in from the end. 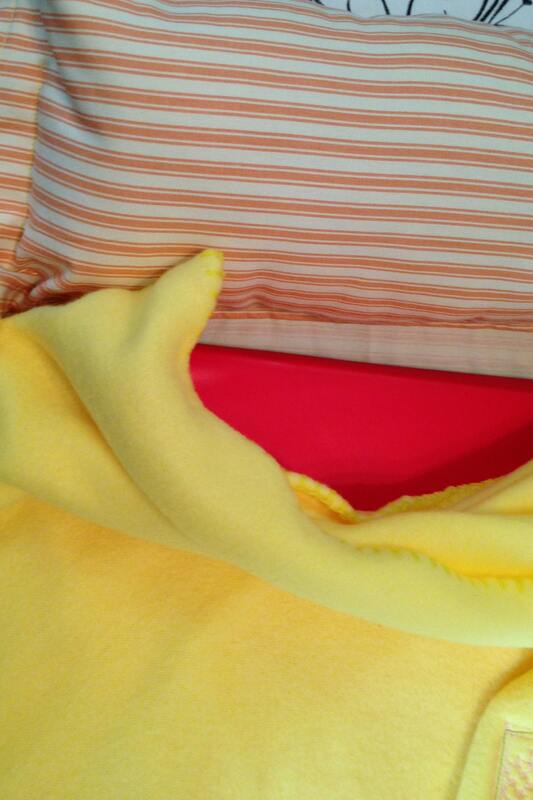 This style enclosure keeps the cover in place while the child is resting. 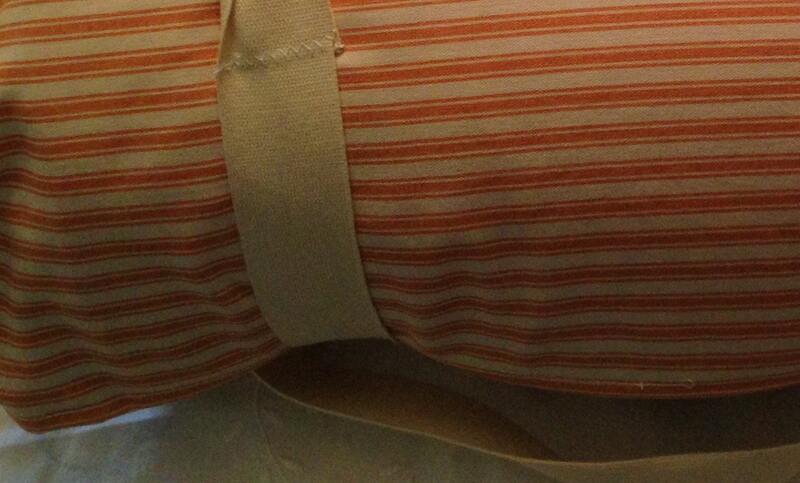 The back of the cover is a lovely cream and orange high quality home decor ticking striped fabric. 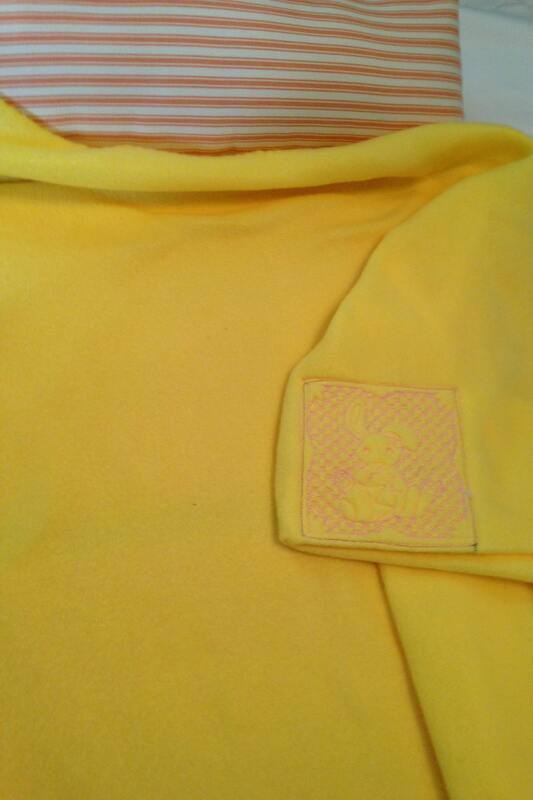 The inside is a soft bright yellow flannel wide enough to completely cover the napping child. There is even a special child size pillow built in at the top. 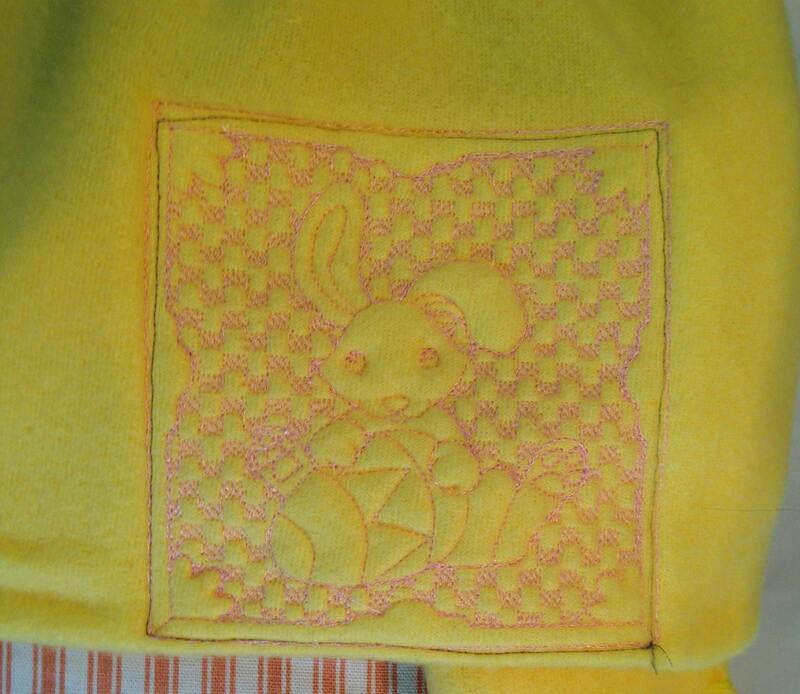 To keep the child company during nap time there is a little pink bunny block embroidered on the corner of the cover. The nap mat cover pictured has a mat insert that is 45" long by 19" wide and 5/8" thick. These mats can be purchased separately to meet your individual preferences. I have made the cover large enough at 50" by 24" to nicely fit other size mats. This mat also has a child size pillow built right in just above the opening. 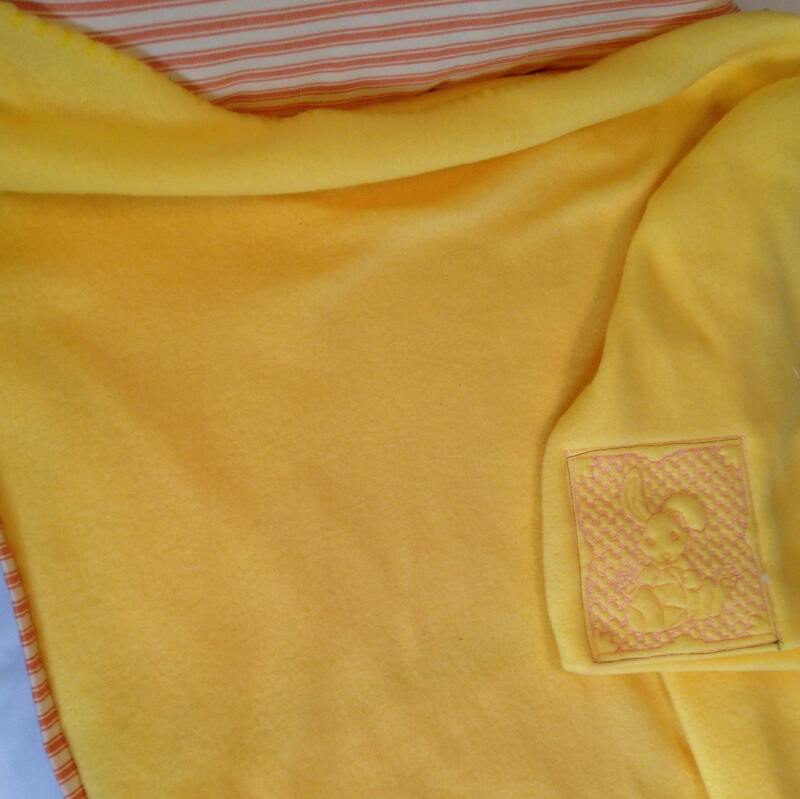 You can reverse the mat to have either the soft flannel or the ticking material on the inside. 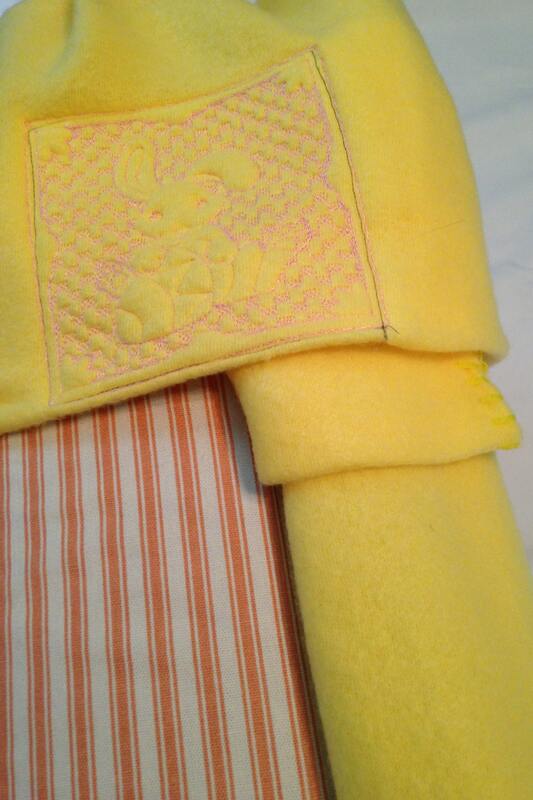 To roll up the nap mat, I include cream colored adjustable webbing straps that are easy slip on and attached webbing handle so the child can carry their own mat. All inside seams are serged for longevity. 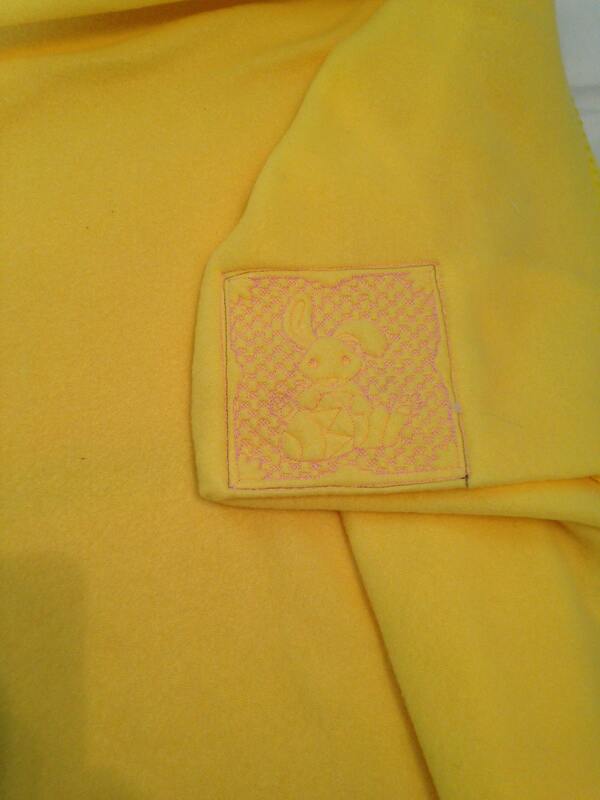 This nap mat cover should hold up well through many washings. If you would like a custom mat made with your Childs name and favorite animal, please message me for a custom order.